Home #LOL Wahoo! Sisyphos – Push! Push!! Push that Boulder!!! Wahoo! Sisyphos – Push! Push!! Push that Boulder!!! Wahoo! 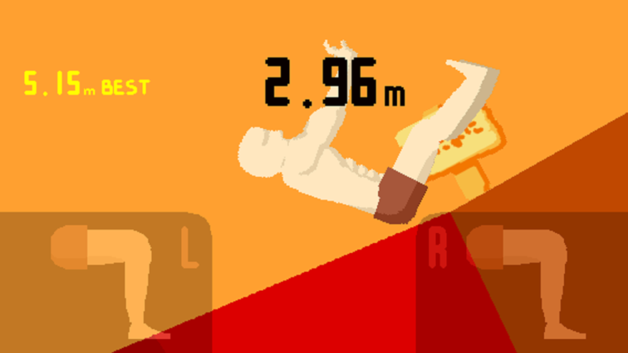 Sisyphos is a game about pushing a rock up a hill until your player eventually slips and falls – presumably – to his death. Although we don’t exactly know what happens to your player after you GAME OVER, we do know a little about what happens before you GAME OVER, and we must say it is hilarious! 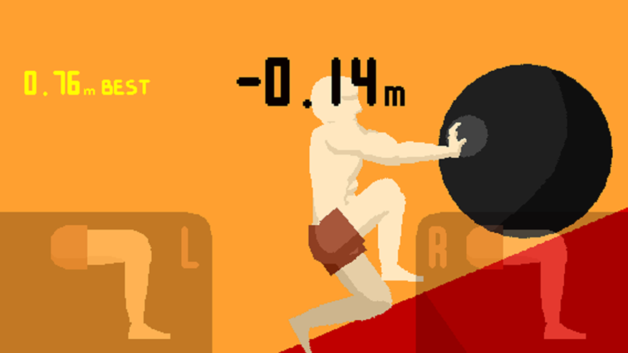 Individually controlling both your player’s left and right legs as you push a massive boulder up a hill, Wahoo! 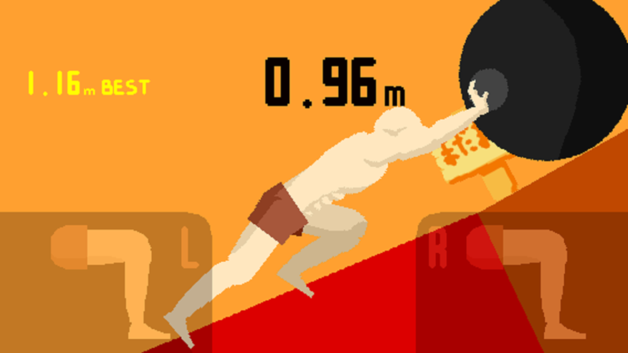 Sisyphos is played a little like QWOP just with less control over individual muscles. After playing this very simple game far too many times between sessions of TrapAdventure 2, we still aren’t exactly sure what actually causes your player to suddenly give up and die. Although we have a hunch it has something to do with the angle of your player in relation to the ever steepening hill or something(?) we still aren’t fully sure as to why we managed to get a high score sometimes and not others.